Are you a Spotify subscriber? Think about the last time you listen to music on Spotify. Chances are it was on a smartphone or tablet. 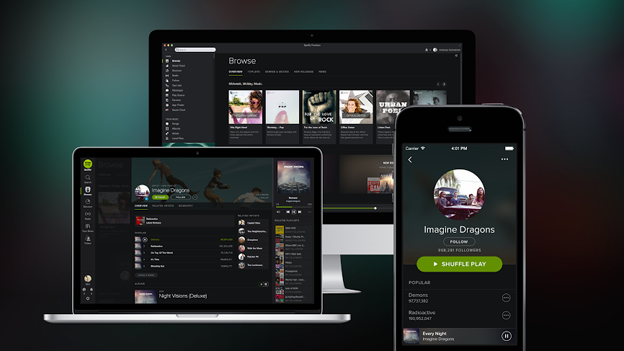 According to Spotify, more than half of the music played on the streaming service was done so on mobile devices. In figures released today, Spotify revealed that 42 per cent of music played in the last month was played on a smartphone. A further 10 per cent was played on tablets. It is the first time since Spotify launched apps for tablets and smartphones that mobile listening has outpaced desktop listening. Spotify didn't say what percentage of people using the service did so primarily on their mobile device. However, it did say that people who use both its mobile and desktop apps tend to use the service a lot. They stream an average of 150 minutes of music day; that's more than two full albums worth. The shift from desktop to mobile streaming is likely down to an increase in the number of mobile networks offering Spotify bundles. Its shuffle-only mobile option is also likely to have had an impact on the number of people using Spotify on their smartphones and tablets. Let us know below whether or not you too are one of the 52 per cent of Spotify subscribers who now use the service predominantly on mobile devices.